Therapy is a collaborative effort to help you find the words, images and stories to express the truth of who you are. I have great faith in our innate guiding wisdom to expand our awareness of our thoughts, desires, dreams and feelings, while growing our capacity for self-acceptance and love. I know that under optimal conditions, in safe, stable relationships, we flourish. 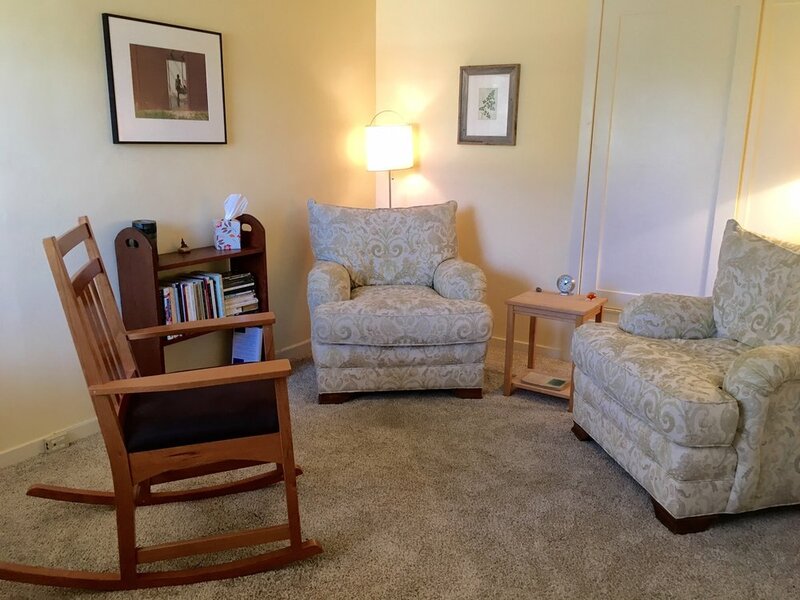 I practice an integrated form of individual and couples psychotherapy in Petaluma and Healdsburg, with an emphasis in bodily-based experience in the present moment. My experience and training is rooted in Eastern and Western approaches to therapy that include: body-based psychotherapy (Hakomi & AEDP), Zen meditation, transpersonal voice dialogue, Gestalt, Jungian and archetypal psychology, family systems and adolescent therapy, cross-cultural perspectives, intersubjective, humanistic, and existential psychology. My meditation practice is the foundation of my work as a therapist. Through meditation I bring an evolving understanding of the universal qualities of being human in relationship. My psychotherapy practice is also informed by Integral Theory and practice. This all-embracing practical approach synthesizes interior (individual and collective) aspects of life—including culture and spirituality—the inner revolution of our dynamic unfolding, while taking into account external influences like biological, environmental, social and global systems. In practice this means, I act as a guide to help you understand your inner life—the feelings, thoughts, dreams and states-of-awarenesss—and outward circumstances—including familial and social conditioning—that influence your life. Our past is the background against which we foreground new life. Ultimately, I hope you leave therapy awake to your feelings, needs and desires, more present and securely grounded in relationships and the world. To be an effective psychotherapist it’s necessary to know the discomfort, vulnerability and complexity of being a vulnerable human being. I have to know the truth of my own suffering; to practice bringing compassion to all aspects of my experience, including the parts of my self that feel deficient, wrong, unacceptable; to explore the range of available sensations, energies, feelings and give voice to them from a place of stability; to learn to feel in charge of what I’m holding and what I want to let go of. My intention as a psychotherapist is to grow my capacity to bring warmth and energy to the radiant, spacious edge of the therapeutic relationship. I want to consciously meet you in the pure potential of the moment, where wisdom and compassion are available, where a new and nurturing way of being in relationship can unfold. That includes allowing my self to be challenged and changed in our psychotherapeutic work. Healing is a gradual process of bringing the light of awareness into the dark, unknown places in our selves, circling in and (re)awakening the embodied truth of who we are in the present moment. Sitting with others in the healing power of presence, I am often in awe and gratitude for the great privilege of being a psychotherapist.